Interview with Hillel Neuer of UN Watch: "Politicization reigns when it comes to Israel." “Anti-Israel bias pervades the U.N. system. In 2012, its General Assembly adopted 22 resolutions against Israel – compared to four against the rest of the world. Hillel Neuer has been Executive Director of UN Watch since 2004. In 2013, Israel’s Maariv newspaper named him one of the top ten Jewish public figures who make the world a better place. “UN Watch, founded in 1993, is the only U.N.-accredited NGO with a mandate to monitor the world organization by the yardstick of its own charter. It fights anti-Israel prejudice, holds the U.N. to account and defends human rights. To achieve these aims, it confronts dictatorships and double standards and fights back against attacks on Israel’s international standing. It pursues core human rights values. "UN Watch also goes after U.N. officials who hide behind neutral mandates to wage political attacks against Israel, America and the Western world. Moreover, the organization influences decision-makers, and leverages a robust media presence to educate world opinion and expose human rights abusers. “Each year, UN Watch brings together partner organizations and courageous dissidents for our annual Geneva Summit for Human Rights and Democracy. Our assemblies shame the world’s worst abusers and give a voice to the world’s most needy human rights victims, those who are never given the U.N. podium. Our Durban III parallel conference adopted a powerful declaration and draft U.N. resolutions condemning abuses by Syria, Saudi Arabia, Pakistan, China, Russia, Cuba and Zimbabwe. Social media helps our small organization reach a global audience. UN Watch’s YouTube channel has over 2 million views. “UN Watch engages in private diplomacy and public advocacy, publishing reports, op-eds and press releases which are read by decision-makers, journalists and the public at large. We testify before government bodies such as the U.S. Congress and the British, Canadian and Norwegian Parliaments to educate and influence lawmakers. We also help voiceless victims by giving them a unique international platform. “Thanks to UN Watch, former political prisoners from China, Iran, Libya, North Korea and Syria were able to confront their oppressors in dramatic U.N. Human Rights Council debates. Neuer remarks: “The UNHRC adopts more resolutions condemning Israel than it does for the rest of the world combined. In its March 2013 session, there were six politicized resolutions against Israel – and only four against all other countries. The vast majority of the world’s victims of gross and systematic violations failed to merit a single resolution. The UNHRC turns a blind eye to mass killings in Iran, Syria, Iraq, Egypt and elsewhere, a clear denial of international due process. “Furthermore, Israel is also the object of more emergency sessions than any other country in the world. One product of these sessions was the 2009 Goldstone Report, which excoriated Israel and exonerated Hamas. “Switzerland’s Jean Ziegler, a long-time UNHRC official who justified Hezbollah attacks on Israel, was re-elected in 2013. He is also notorious for supporting various dictators. UN Watch exposed his role as co-founder, co-manager and 2002 recipient of the Muammar Gaddafi Human Rights Prize, causing him to be condemned by the Swiss Parliament. “While many UNHRC experts do important work, politicization reigns when it comes to Israel. 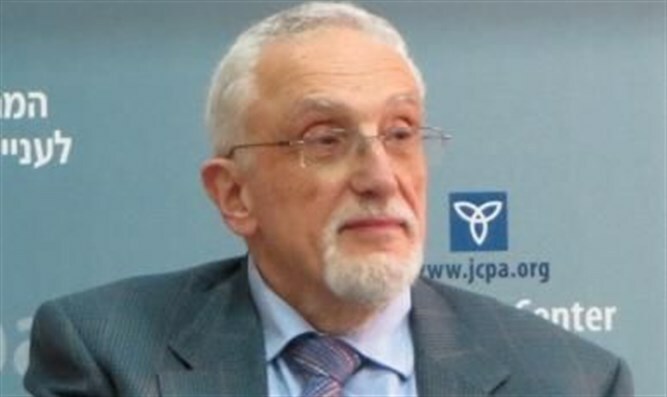 Richard Falk, investigator on the Palestinian territories, is mandated by the Council to focus solely on Israel’s actions. They are presumed in advance to be violations of international law. His support for the Hamas terrorist organization is so extreme that even the Palestinian Authority asked him to resign.